Get your cowboy or cowgirl boots and spurs on and join us for a rootin’ tootin’ hoedown with Anya, Kevin, Gary and Bonzo (formerly of The Singing Kettle). 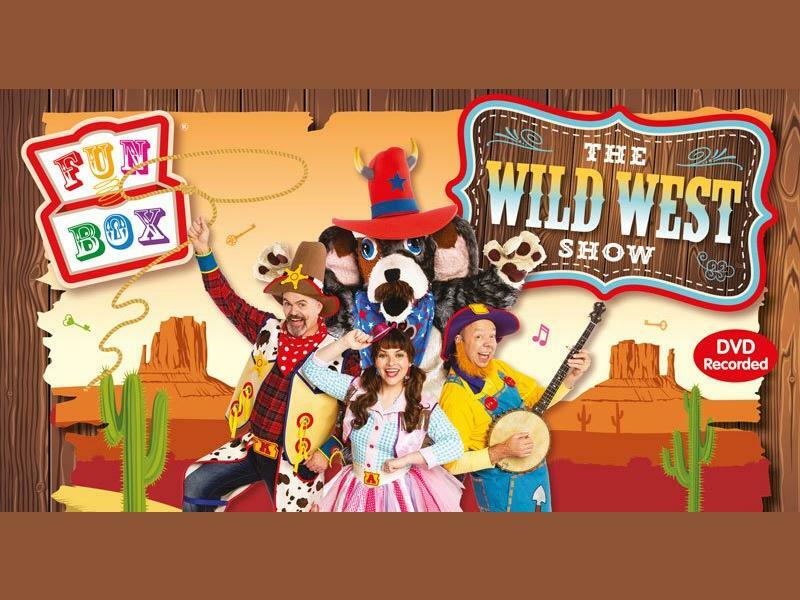 Jam packed with singalong favourites like ‘Skip To Ma Lou’, ‘Oh My Darling Clementine’, as well as brand new songs, THE WILD WEST SHOW is a right-rollicking rodeo ride for all the family. While we take every opportunity to ensure the details for Funbox present The Wild West Show are accurate, we always advise that you contact the event organiser before setting out for the event to avoid disapointment.